Former Prime Minister Atal Bihari Vajpayee, honored with the country’s highest civilian honor ‘Bharat Ratna’, has died at AIIMS in Delhi on 5:05 pm Thursday evening. He was 94 years old and was admitted to AIIMS from last nine weeks. They were placed on Life Support System on Wednesday. BJP’s founder Atal Bihari Vajpayee was also a great poet and many poems became famous. He became Prime Minister for 13 days in 1996. After this, in 1998-99, Atal Bihari Vajpayee was the PM for 13 months. After that, he remained Prime Minister for five full years till 1999-2004. Born on 25 December 1924 in Gwalior, Vajpayee joined the RSS in 1939. After this came the Jan Sangh in 1951 During this time, the height of the Vajpayee was steadily increasing and in 1968 the Jan Sangh was made the national president. Then when an emergency took place in the country, he was also arrested. Atal Bihari Vajpayee was a Member of Parliament for 40 years and in the year 2015 he was awarded to Bharat Ratna. 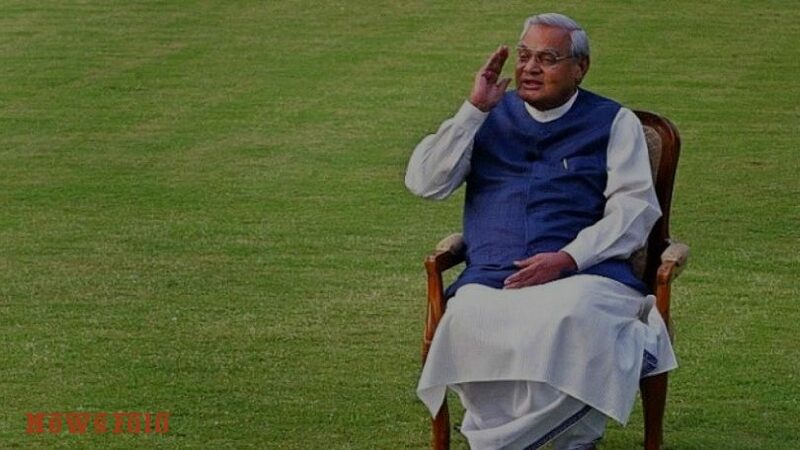 10:40 AM IST- The mortal remains of former Prime Minister Atal Bihari Vajpayee are being taken to BJP Headquarters. 9:30 AM IST- Former MEA spokesperson under Atal Bihari Vajpayee, Nirupama Menon Rao said he was a man of “unbounded eloquence, perspicacity, and a profound understanding of statecraft, history and human behavior”. 9:00 AM IST- Vajpayee Azad was the first Prime Minister of India who completed his tenure as a non-Congress government. Due to his health problems, he made a distance from active politics in 2005. 8:00 AM IST- Born on December 25, 1924, Vajpayee entered politics during the “Bharat Choro” Movement in 1942 and after three political conflicts, he became the Prime Minister of the country three times. Earlier, PM Modi had reached AIIMS. At the same time, besides BJP President Amit Shah, many Union ministers and leaders were also present in AIIMS. Health Minister JP Nadda while talking to the media said that the condition of Atal ji is serious and doctors are working with full force to cure their health. Atalji is being cared for in every way. Right now, the route from AIIMS to Krishna Menon Marg has been evacuated. At first the information of Atalji’s health was given to the Prime Minister’s Office. On the other hand, BJP has canceled all its programs today. 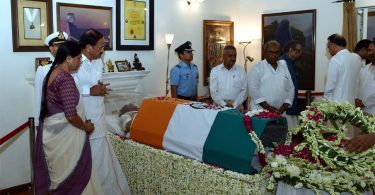 At the same time, his family and relatives are present at the residence of Vajpayee, located at Krishna Menon Marg. The top police officers of Delhi Police have reached their house. Here also the security link has been kept. 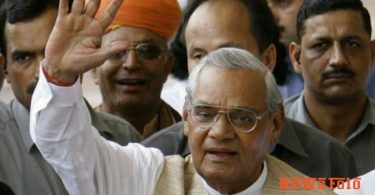 Atal Bihari Vajpayee’s health became worse on Wednesday. In the medical bulletin issued on Wednesday night from AIIMS, it was reported that in the past 24 hours, the former prime minister’s health had worsened and he was kept on the life support system. The problem of urine infection and breathing difficulties had increased. Amit Shah, Rajnath Singh, JP Nadda, Prakash Javadekar, Vijay Goyal and many other prominent leaders were present at AIIMS since morning due to the poor health of Atal Bihari Vajpayee.